In a bowl, whisk together flour, baking soda, cinnamon and salt. In another bowl, whisk together eggs, banana and honey. Mix the wet ingredients with the dry and than add in the walnuts and apple. Fold it all together. Line a muffin tray with baking cups. Lightly grease the cups with coconut or any other oil. Fill the batter to the top of the lined cups. Bake for 30 minutes or until a tester comes out clean. 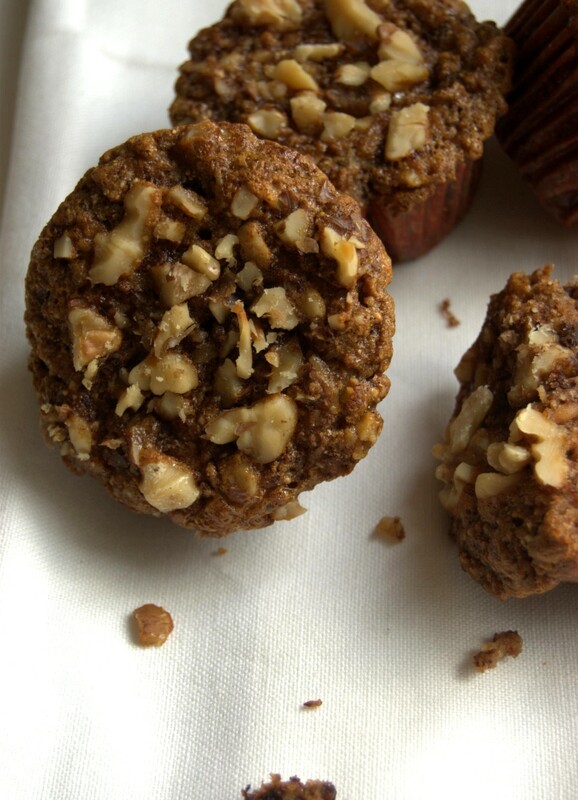 Gluten free, dairy free walnut buckwheat muffins. 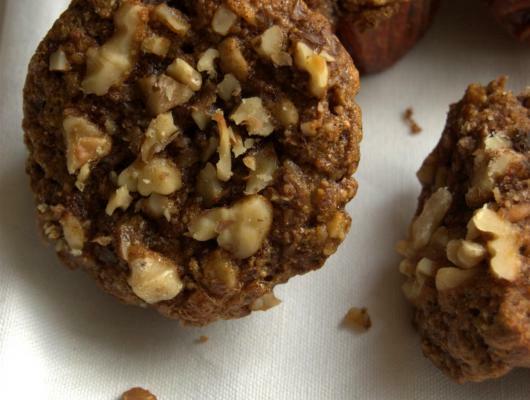 Healthy, guilt free treat.